Jillian “Jilly” Elizabeth Adamuska, 29 years old from Bethlehem, New Hampshire, gained her angel wings on March 22, 2019, surrounded by family and friends at her side. Jilly was born January 18th, 1990 in Littleton, NH to Michelle (Parcell) Houle of Bethlehem, NH and David Adamuska of Lisbon, NH. Jilly’s loveable attitude lit up everything and everyone around her. She taught all, that strength does not come in size or abilities, but in heart. From day one, the odds were against Jilly, and we smile at the fact that she fought and defied those odds so many times. May the simple thought of Jilly fill all with love, energy, and happiness; all the qualities that made Jilly who she was. Jilly is survived by her parents Michelle Houle and David Adamuska; her big sister Tiff Adamuska, Tiff’s daughter Penelope, and partner John of North Billerica, MA, little sister Hayley Adamuska of Stoneham, MA, stepdad David Houle of Bethlehem, NH, godfather and uncle Michael Parcell and his wife Donna of Franconia, NH, uncle Christian Parcell of Bethlehem, NH, uncle James Parcell of Winston-Salem, NC aunt Mary Ellen Statfeld of Bay Ridge, NY, and numerous cousins from all over. She is also survived by Cathy Morency of Allenstown, NH, her caregiver, who became family and whose family became our family very quickly. Jilly is predeceased by her maternal grandparents Ellen (Nana) and Lawrence (Poppy) Parcell of Brooklyn, NY. Visiting Hours will be Thursday March 28, from 6-8PM and a Memorial Service on Friday March 29, at 11AM at Ross Funeral Home, 282 West Main St. Littleton. Interment will be on Friday May 3rd, at 10AM at Maple Street Cemetery in Bethlehem. 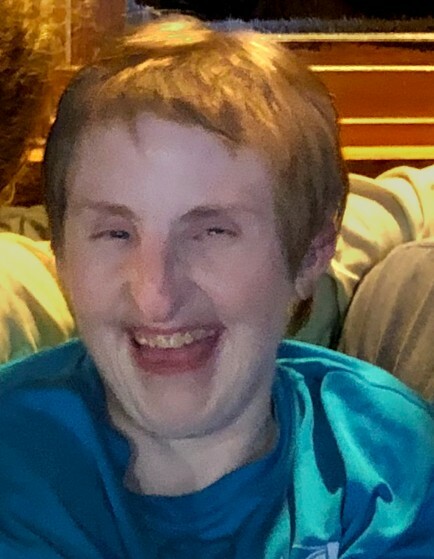 In lieu of flowers, the family is accepting donations that will be divided equally between Special Olympics and the costs of the funeral at Michelle Houle, C/O Ross Funeral Home, 282 West Main St. Littleton, NH 03561. There's still time to send flowers to the Internments at the Maple Street Cemetery at 10:00 AM on May 3, 2019.